The Algarve is known for its coastline filled with beautiful golden sandy beaches and an extraordinary climate that guarantees over 300 days of sunshine and mild temperatures throughout the year. 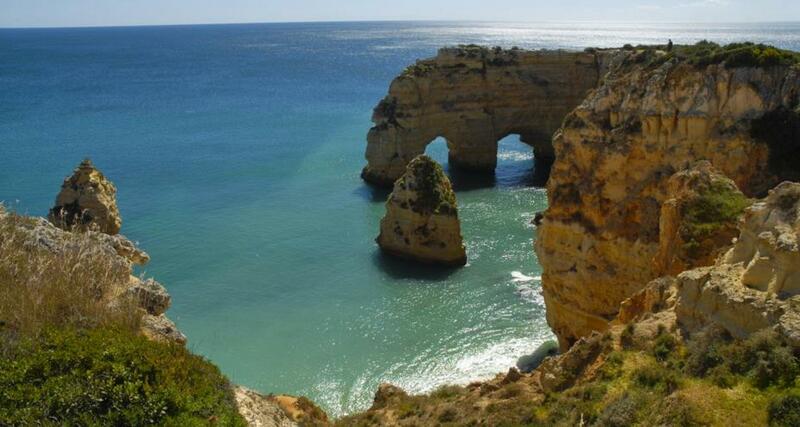 But the Algarve is much more than only its beaches and golf courses. 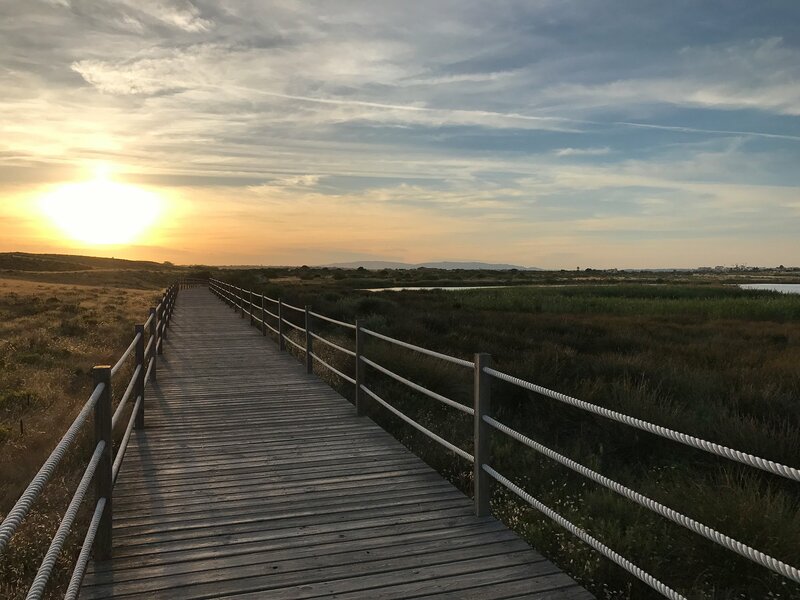 It’s a region characterized by an impressive landscape diversity, which can be fully appreciated by foot through the numerous existing walking trails that allow for a direct contact with nature, while promoting a physical and mental wellbeing. Oak tree woods, fields of cork trees, local strawberry trees (medronheiros), rosemary and aroeira trees, as well as lagoons and large sand dune areas, are some of the elements that make up the Algarvian landscape. Below you’ll find some information about the nearest walking trails to VILA VITA Parc, so that you can make the most out of your stay, and discover the year-round extraordinary beauty of the region. This trail accompanies the cliff by the coastline, and is interrupted by 7 small valleys, created over the years by ancient water lines. The trail begins at the picnic area of the beautiful Marinha beach and ends at the Centeanes beach, a total of 12kms (round trip) and an average duration of 5 hours. Along the way you’ll be able to see amazing rock formations such as large arches and caves; several plants such as juniper, Peruvian pepper trees and the local “carrasco” bushes; animals such as cormorants and seagulls; the Alfanzina lighthouse and several fishing boats at the Benagil beach. You will also have the opportunity to relax and enjoy the view in one of the many viewpoints located along the trail. This particular trail is ideal for birdwatching lovers, since it’s located in an area with a large diversity of bird species. It runs for a total of 5kms, with an average duration of 2 hours. The trail begins at the Praia Grande car park, in Pêra. 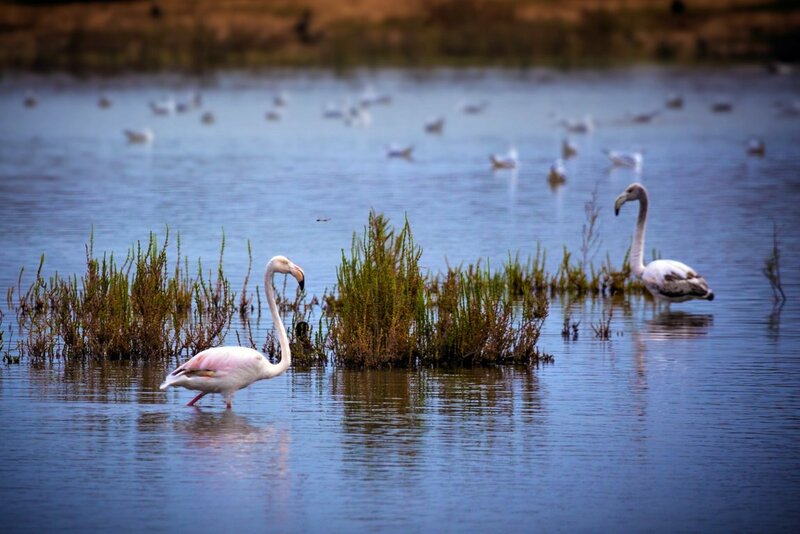 When walking by the Salgados Lagoon, you’ll be able to watch flocks of flamingos, black-winged stilts, purple herons and ferruginous ducks. You will then proceed through the beach, on a wooden walkway that crosses over the sand dunes, on to an area of stone pines. The trail ends at agricultural area where you’ll be able to see the ruins of old windmills and barns. 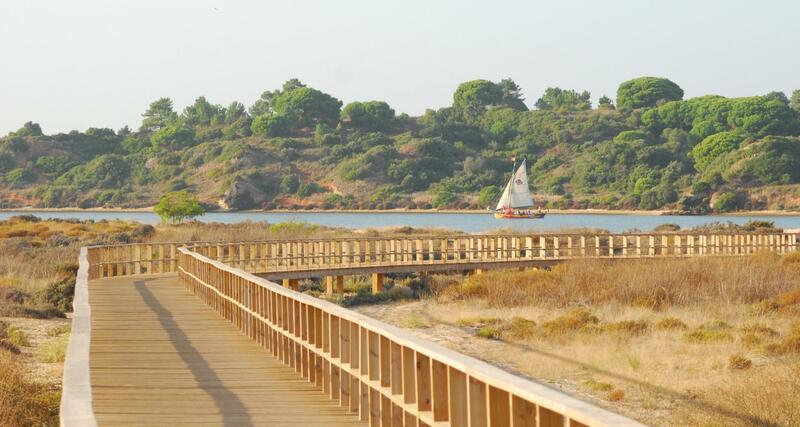 This trail, located in Alvor, near Portimão, is almost entirely done on a long wooden walkway (the largest in the Algarve) which starts by the fishing dock. The trail is 6kms long with an average duration of about 2 hours. It runs over the Ria de Alvor and goes all the way to the Três Irmãos beach. Throughout the trail you’ll be able to watch several bird species such as the common terns, herons, gannets, amongst many other species. You can return by the beach.